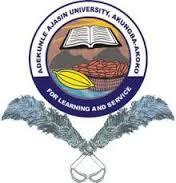 Adekunle Ajasin University, Akungba-Akoko, Ondo State [AAUA] UTME Departmental Admission Cut-Off Marks for 2018/2019 Academic Session. This is to inform all UTME candidates who applied for admission into Adekunle Ajasin University, Akungba-Akoko, Ondo State for the 2018/2019 academic session that the departmental cut-off marks has been released. AAUA pass mark is 40%. Meaning you must score at least 40% in post UTME before you can be consider for admission. UTME score constitutes 60%. While the post UTME score constitutes 40% of the aggregate score (i.e., UTME score/400 x 60 + post UTME score/100 x 40).